As a travel and tourism entrepreneur, you already understand the life-changing impact of experiencing the world we live in. I agree 100%. I am confident that experiential travel has the power to change lives. It’s why I travel so extensively myself, AND it’s why I passionately believe in supporting tourism businesses around the world. How can we increase our impact and change MORE lives—without necessarily doing more work? My answer is non-traditional set departures – group retreat-style bookings. If you have a travel and tourism business and you’re ready to skyrocket your business, then you won’t want to miss out on the power of the unspoken about set departure trip – group retreat bookings. Set departures allow you to curate the ultimate itinerary for a group that doesn’t know one another yet. Its a great alternative for travelers who are solo but want to be in community on their adventure. 1. Why Group Retreat Bookings? A group retreat booking is just as the name suggests. However, rather than ONLY catering to preset groups, small families or couples, your business cultivates life-changing group experiences. You can curate the ultimate tours of your region of the world. But why cater to groups rather than individual travelers? For one, groups always bring in a much higher profit than individuals. After all, it’s better for your ROI to have 15 people participating in a tour than only two or three. Because pricing is similar, and you make profit the MORE people attend a tour. Another benefit of hosting group retreats is that it allows you to set the date that YOU want to fill your calendar. For example, if you know that bookings are typically low during your local rainy “Green Season,” then this would be the perfect time to fill in the gaps of your annual calendar with a set date for groups. Instead of uncertainty and lack of income, you now have guaranteed clients who will create memories to last a lifetime. Group retreats are also a fantastic way to offer individuals an opportunity to plug into a group setting. Sure, they might travel to your destination alone, but they will leave with new friendships and a community bond that will last a lifetime. This is added value for the price of the set departure. 2. What Does A Group Retreat Look Like? 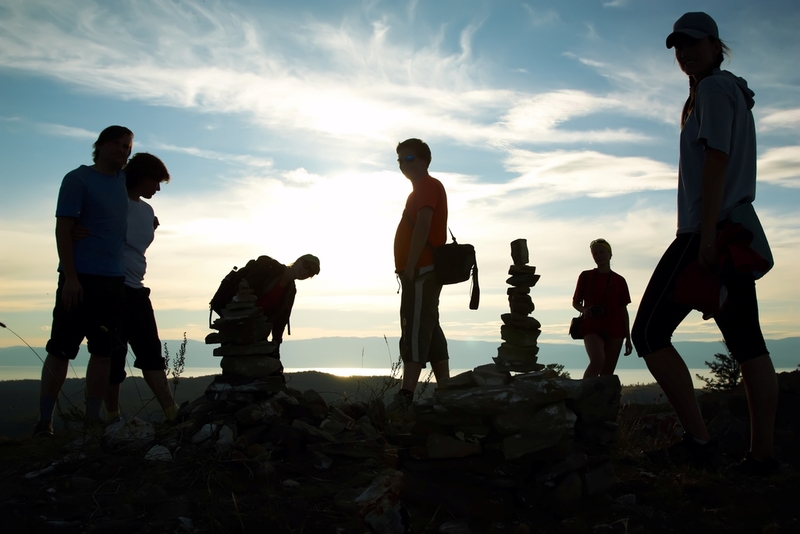 Depending on your accommodation and team capacity, a group retreat can consist of anywhere from 5 to 50 people. The magic number will depend largely on what you are capable of hosting, as well as the balance between personalization and profit you wish to provide travelers. Think about what kind of experience you want for participants who are signing up for your group retreats and tours. More specifically, what is the intent for the group retreat? What powerful energy do you wish to cultivate? One way to further customize the experience is to pick a theme for the week. Take my client Puzzle Israel. They are amazing at creating unique retreats to appeal to various types of travelers. For example, they have a yoga week for spiritual and physical rejuvenation, as well as a cycling culinary tour for the adventurous foodie. Even my Trailblazer Retreats follow a theme of breakthrough workshops in spectacular settings for those who want to adventure travel AND business build. If you are already a hospitality and tourism tourism entrepreneur, then chances are you already have a good idea of what kind of life-changing memories you want to inspire in travelers. The only difference is that now instead of impacting just a handful of people, we are now implementing the transformation at the group retreat level. One hesitation I hear from experienced experts is that they believe group retreats will be way too difficult to plan and implement. But believe it or not, catering to groups requires the same amount of work—with MORE of an ROI—than hosting small families and individuals. After all, wouldn’t you rather have fifteen people taking part in your tour then only three? That’s what I thought. And these type of travelers come back for more, year after year and always rave about you to their friends! The key is to set your goal—and do whatever it takes to fill the event from there. Once you are clear on your intent and the value it provides to travelers, it’s time for serious promotion and marketing. We’ll talk more about this aspect in upcoming blog posts (and there are plenty of jam-packed articles you can peruse on The Big Factor in the meantime.) However, a few advertising mediums I always recommend are Facebook ads as well as blog posts to highlight the unique event you have curated. This is just the tip of the iceberg, but it is a potent way to begin. If you are a travel and tourism business who is serious about scaling your profit and impacting more lives, then it’s time to realize the power of group retreat bookings! Still have questions about group retreats? 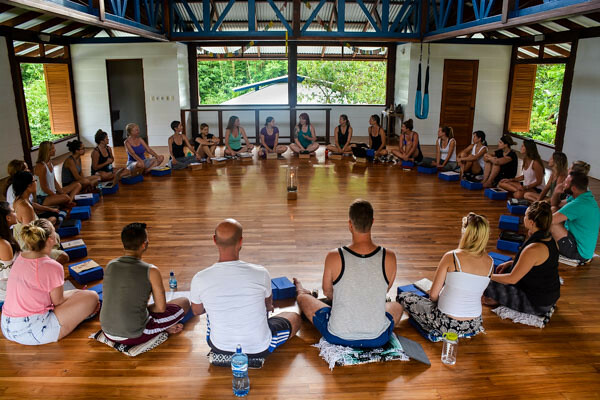 Want to share your own tips for attracting group retreat bookings? Share below whatever this topic of group retreat set departures sparked for you. As always, I love to read your thoughts or questions in the comments below! As always feel free to reach out for help with your travel and tourism marketing efforts!